Wyoming Camp Meeting Emphasizes Grace and Redemption Theme » Referred to in Wyoming as the "event of the year," Wyoming Camp Meeting brought together a group of 250 adults and children to the Casper Mountain Mills Spring Ranch, July 17-21. Each year, the gathering is “warm and family oriented,” commented Eric Nelson, VP for administration, and one of several Rocky Mountain Conference participants. You could not but notice how much the camp venue, refurbished and newly painted, added to the blessing of the five days of spiritual feasting. A group of enthusiastic volunteers from Maranatha Volunteers International who have been working to upgrade the camp, said their job is not done, yet. They contributed not only hundreds of hours of labor, but purchased many of the building supplies. Not worried about the high elevation of Casper Mountain, “they are anxious to come back and do more painting and other needed tasks,” Eric Nelson said. “We will long remember this mountain-top experience,” said Mic Thurber, Mid-America Union ministerial director and a guest speaker for the gathering. Thurber, who spoke of a theme of grace and the redemption work of God for His children, added his comment about his own experience at Mills Spring Ranch. “My wife Jana and I were so blessed to have been with the Wyoming part of the conference family last week. It was such a joy to meet new friends, share in the Word together, and be blessed by the great fellowship, music, and wonderful setting,” he said. 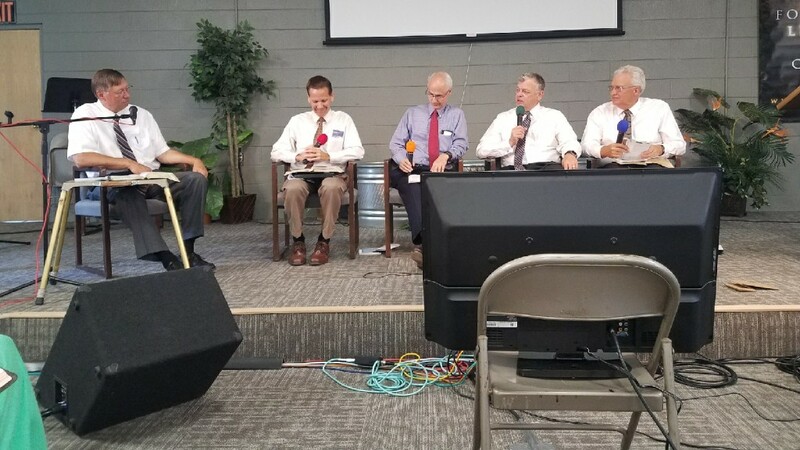 The camp meeting preparation was coordinated by Chuck Gadway, pastor in Northwest Wyoming, who was joined by fellow-ministers from the state. Following morning devotionals by DeeAnn Bragaw, RMC prayer and women ministries director, several Wyoming church pastors presented mid-morning and afternoon seminars, a palette of messages, both on theological and mission-oriented topics. On the final day, Sabbath School included an interview with Delinda Hamilton, RMC family life coordinator, and a discussion on the Sabbath School lesson by the RMC leadership team. A baptism, Wyoming reports, and a music program added to the Sabbath afternoon program. 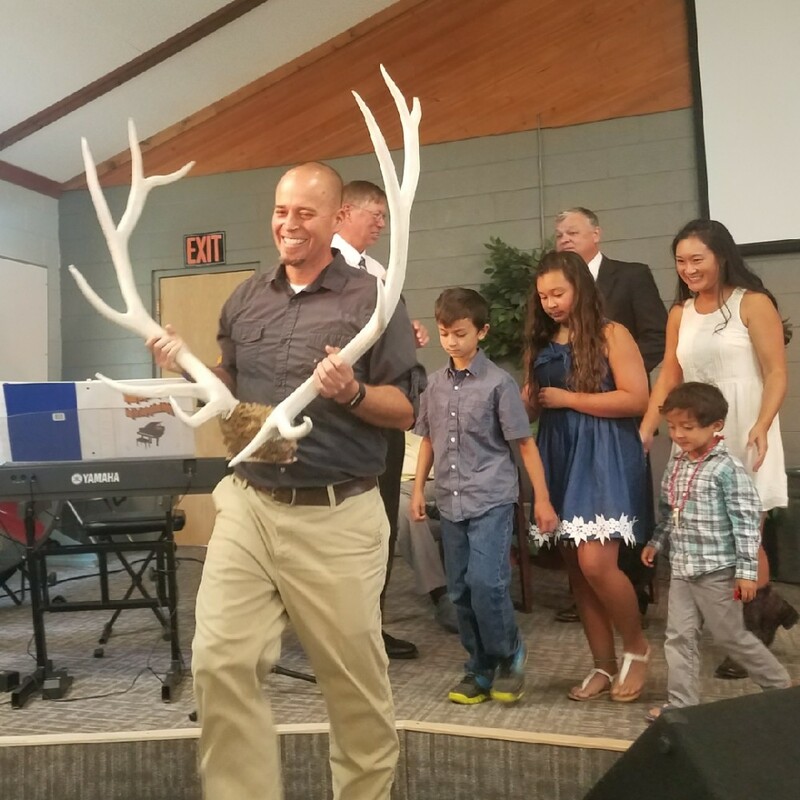 "The Wyoming Camp Meeting gave people from all over Wyoming and beyond the opportunity to fellowship and pray together and receive inspiring and practical presentations,” shared Mickey Mallory, RMC ministerial director. The camp meeting participants also bid farewell to Matt Moreland and family. Matt is joining RMC's trust services team at the end of the summer. Responsible for annual summer and winter youth camps, he was also recognized for his managerial skills to upgrade the Mills Spring Ranch Camp facilities. A day after the camp meeting, 70 kids came for a weeklong summer camp. 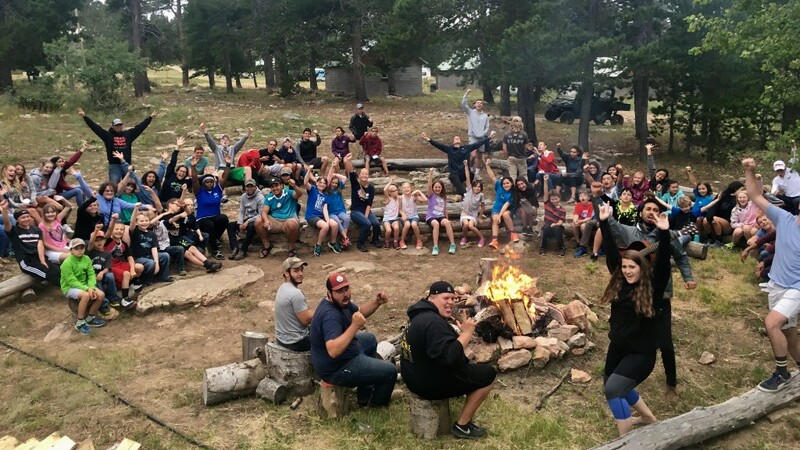 Wildfire Teen Outreach Impacts Pueblo » Eight teens working with Campion Academy Wildfire, descended on Pueblo July 6-21 to share the gospel message during their summer break. Preaching nightly for 15 nights, the teens saw 14 people baptized with two more preparing for baptism and one who joined by profession of faith. Attendance reached 70 on opening night. Preaching traditional evangelistic sermons on subjects like the Second Coming of Jesus, the Millennium, man’s spirit in death, the Sabbath, health, and tithe, the teens approached their subjects in unique ways using their real-life experiences. Each night, the teens offered an invitation for anyone wanting to make a public profession of Jesus by baptism. The response was sporadic, but steady. Baptisms began after the ninth sermon and continued throughout the series. When Ashley Halvorson preached on the subject of baptism, one woman walked out. Ashley assumed she had said something to offend her, but when she gave an invitation for baptism, to her surprise, out walked this woman with Pueblo's pastor, Brad Schlief. Dressed in a baptismal robe, she was ready for baptism right then. "We live in unprecedented times of gospel opportunity," said Evangelist Phil Jones who mentors the youth. "Years of teaching in our public schools that we humans are nothing but citified apes has left craters in the hearts of young Americans. The gospel of Jesus’ death, burial and resurrection for them fills those holes," Jones continues, citing 1 Corinthians 15:1-6. Campion's Wildfire team is coordinated by Campion Chaplain Esequias Perea. Pastor Goetz and his Campion Church staff mentor the students as they prepare their sermons. 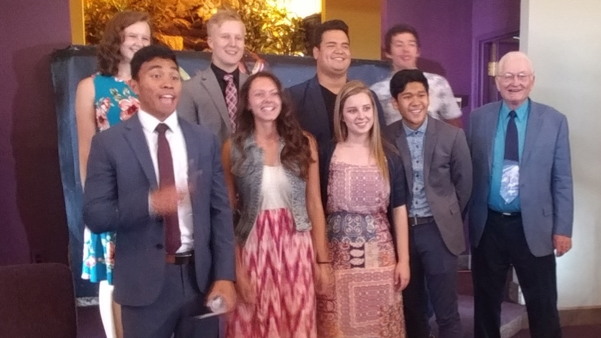 The team pictured includes Ashley Halvorson, Xander Assa, Nolan Eickmann, Lauren Fry, Josh Ramirez, Josie Reeves, Austin Rotinsulu, Nathaniel Sanchez, and Evangelist Phil Jones. 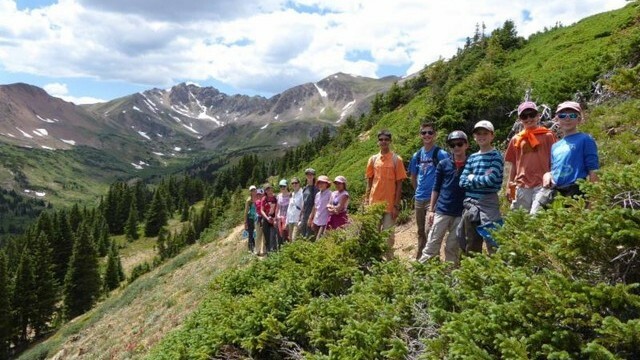 Campion Church Pathfinders Backpack to 11,000 Feet » Pathfinder activities don't stop when the school year ends. Many club members asked to go backpacking during the summer, so we met several times in June to learn about and prepare for the unique challenges of carrying everything you need on your back for a weekend. They learned how to plan lightweight but nutritious meals, how to stay warm, dry, and safe, and how to minimize their impact on the land by remembering the motto to "take nothing but pictures and leave nothing but footprints." After much planning and anticipation, 12 Pathfinders and 6 adults headed out for a weekend backpacking trip to Herman Gulch near the Eisenhower Tunnel on July 13. With their campsite at 11,000 feet, the days were pleasant and the nights were cool, but not too cold. Wildflowers were in full bloom, providing a colorful carpet nearly everywhere we looked. On Sabbath, we hiked to Herman Lake at 12,000 feet and relished lunch along with views far into the distance. Everyone enjoyed the trail hikes as well as several cross-country hikes near the campsite. Far too soon, the weekend was over and we put on our now-lighter backpacks and trekked back to the cars for a ride home, but not before stopping for pizza in Idaho Springs. If you missed out on this trip, please join us in the future! Pathfinder registration for the 2018-2019 school year will take place August 19. Early-bird discounted registration for the 2019 Oshkosh Pathfinder Camporee will be available the same day. We hope to see you there! Montrose Church Members Participate in County Fair » The County Fair in Montrose offered an opportunity for the Montrose Church to participate in this community event held July 23-30. 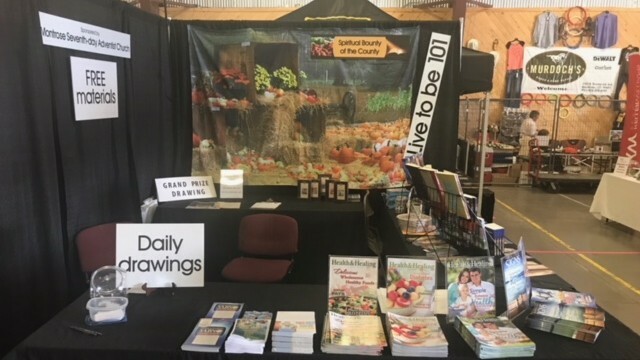 From their booth, church volunteers who worked four-hour shifts, shared health information, books by Ellen White, children's books and Bible story books. They also promoted the local Adventist radio station KSYF 107.5. Volunteer Gordon Reichard observed that such participation is important for the church. He is already working on ways to improve the outreach for next year. Singles Ministry Group Meets at Denver South Church » Members of Denver South Singles Ministry met on July 21 for a potluck lunch and a stroll through Denver’s Hudson Gardens. Forty-five participants attended the Sabbath afternoon gathering. "The adult singles ministry is an important ministry of the church," said Linda. “A significant number of Seventh-day Adventist Church members are single. Our goal is to provide opportunities for fellowship,” she added. “We also see this ministry as a way to come together as singles to enjoy the great outdoors, encourage, support and interact with one another, and to study God's word,” she explained. The Denver South group aims to have monthly meetings. 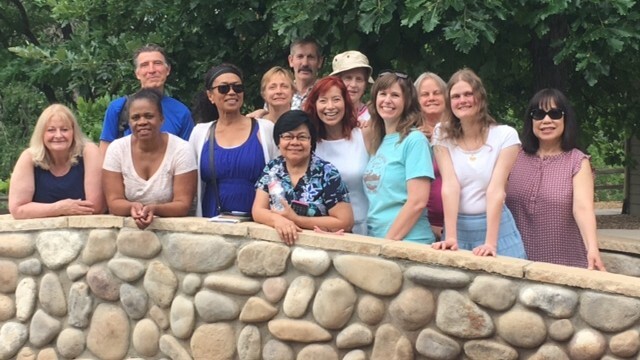 The Denver South chapter is a part of the North-American Division Adventist Single Adult Ministries whose mission is to reach and empower single adults to create Christ-centered safe places for fellowship, nurture and service. Similarly, such an objective guides the Rocky Mountain Conference ministry. For more information, email your inquiries to [email protected]. Becky Carlisle Memorial Service » Hundreds of people packed Boulder Adventist Church on the afternoon of Saturday, July 21, to pay their respects to Becky Carlisle who fell asleep in Jesus on Monday, July 9, after a long battle with pancreatic cancer. 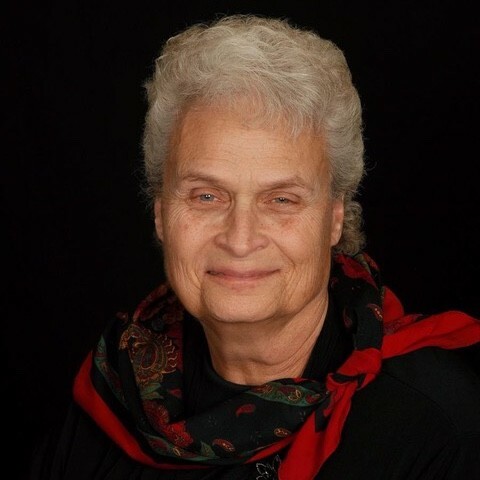 As Becky would have no doubt wished, music was heavily emphasized throughout the program, with several items performed by a mass choir made up of members of Boulder Church and The Good Shepherd Presbyterian Church in Northglenn, Colorado, where Becky served as organist and choir director. John Sackett, Ivy Lee, Devon Howard, Doyle Cline, George Swanson, Robin McClanahan, Jon Hoehn, and Greg Hodgson also performed. Tributes were given by the Reverend Bill Davis and Pastor Darrell Rott (former Boulder Church pastor). Pastor Walt Williams, also a former Boulder Church pastor, gave the homily. Kevin McClanahan read the life sketch. A beautiful slide show gave an overview of the wonderful life Becky shared with her family and many friends. Current Pastor Japhet De Oliveira facilitated an open mic segment during which dozens of people shared stories of Becky that were poignant, funny, and memorable. Her three children, Kristin, Jonathan, and Melissa, along with their families, expressed deep gratitude to the many people who put this service together in honor of their beloved mother. Watch the service (https://vimeo.com/281106759). Nearly 700 Newborns Saved in Peru » In the Peruvian Amazon, most expecting mothers won’t visit a hospital to deliver their children. In fact, most won’t receive any medical assistance at all. As a result, common birth complications that are easily mitigated in the U.S. have led to an infant mortality rate of 38 percent. In 2015, Global Health Initiatives (GHI) established Helping Babies Breathe in partnership with Clinica Adventista Ana Stahl in Iquitos, Peru to combat high infant mortality rates in the region. Three years later, we’re happy to report that 680 newborn lives have been saved because of Helping Babies Breathe and the dedicated providers in Peru! In 2017 alone, the Peruvian Ministry of Health reported that infant mortality in the Amazon basin reached an all-time low of 10 per 1,000 infants. Helping Babies Breathe is a two-day class that reaches remote birth attendants and teaches them ways to save a baby’s life after birth if the infant is having trouble breathing. The program works by instructing local master trainers who teach the skills and provide equipment to birth attendants in hard-to-reach areas. These are basic techniques that every labor and delivery nurse in the U.S. knows, but most providers in the Amazon jungle have never learned. Throughout the class, providers work with students to help them feel comfortable performing these techniques in the field. By practicing with a mannequin, they’re able to learn how to properly clear a baby’s airway so they can use that knowledge when it matters most. A group of GHI trip participants recently made the trip to Indiana, Peru, a district about 30 minutes upriver by fast boat from Iquitos. Baby Jose was recently born early and, even after a month, weighed under five pounds. If he had been born in the U.S., he’d still be in the Neo-natal Intensive Care Unit (NICU) today. 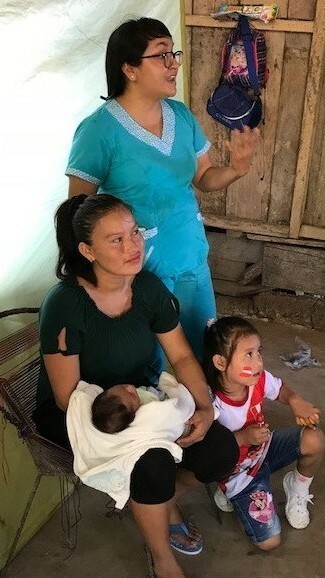 Fortunately, the local birth attendant at the health post in Mazan was trained in the life-saving HBB techniques and quickly responded to baby Jose when he was born. Baby Jose’s story gives us just a glimpse of three years of hard work and dedication that led to an amazing tally of newborns who have been given a chance at life through this initiative. After the success in Peru, GHI is working to bring this program to other countries – Nepal, Tanzania, and Uganda. We’re looking forward to sharing more success stories in the future. For more information on Helping Babies Breathe, contact Michelle Perkins, RN, MSN Program Manager of Helping Babies Survive for Centura Health - Global Health Initiatives at [email protected]. To support Global Health Initiatives’ mission with a gift, contact Kim Kennedy, Development Officer for GHI, at [email protected]. Rocky Mountain Pastors will be at Yellowstone National Park every Sabbath from Memorial Day through Labor Day. Traveling through Yellowstone this summer? Join them for worship beginning at 10 a.m. each Sabbath in Old Faithful Lodge. Public Evangelism at Rocky Mounmtain Ghanaian Church » Pastor Esteb Pierre, MDiv, MBA, will present the meetings, "Time is Running Out" from 7-8 p.m. beginning Saturday, July 28 and ending Saturday, August 11. The meetings exclude Mondays, Tuesdays, Thursdays and Saturday nights. Hear about "Daniel's Predictions," "Signs You Can't Ignore," "What is Jesus Doing Now? ", and "Facing the Future Unafraid." The church is at 3600 Helena Street, Aurora CO 80011. New Adventurers Club » New Adventurers Club coming to Denver! We are very excited to announce that the Denver South Seventh-day Adventist Church (2675 S. Downing St.) will welcome children, pre-K to 4th grade, to join a fun and educational club. The mission of the Adventurer Club ministry is to serve an intercultural community of children and their parents or guardians and assist Adventurer families in growing as followers of Jesus! For more information and to find out how you can volunteer as a staff member, contact Humberto Mateo, Adventurer Director at 813-924-713. Women's Retreat » “Branded in Christ,” RMC women's retreat will be held at Glacier View Ranch September 28-30. Heather-Dawn Small, Women’s Ministries Director for our SDA world church, is our featured speaker. View the brochure at: www.rmcsda.org/women. Registration is online and begins July 15. For questions email[email protected], or text/call 303-243-1172. Intermountain Adventist Academy » Accountant/Administrative Assistant. This is a full time job, and the candidate must have excellent communication skills and prior experience, managing accounting systems. Candidate must also be able to perform basic office managing duties. Salary will be determined by candidate's education and experience. Contact Joel Reyes at [email protected] for more details and job description. Mile High Academy » Mile High Academy has immediate openings for the 2018-2019 school year for two part-time drivers for our transportation routes. Qualified candidates will be at least 21 years old, possess, or be able to obtain, a current Colorado driver's license (Commercial Driver's License not necessary) have no more than two traffic citations and no at fault accidents during the last three years. Candidates must also possess current U.S. work authorization. While maintaining the dignity and respect for all students, the driver's primary responsibility is the safety of students while transporting them to and from school. To apply, please send an email to Vivien Vasquez to request an application ([email protected]) or contact her by phone at 303-282-3653. HMS Richards Elementary » Part-time preschool teacher needed at HMS. We are growing and looking for an enthusiastic teacher to lead our preschool program. Must be ECE teacher certified. Do not need to be director certified. Please contact Davin Hammond or Kari Lange for more information @ (970) 667-2427‬. Vista Ridge Academy » Seeking candidates for a Part-time Aide in Preschool and PreK/Kindergarten (20+ hours per week). Candidates must be active member of the Seventh-day Adventist Church. Completion of ECE state licensing requirements for a preschool teacher is a bonus, but not required. Also seeking candidates for a Part-time Extended Care Supervisor (8-10 hours per week). Candidates must be an active member of the Seventh-day Adventist Church and available to work after school. For more information, please contact Sandy Hodgson at 303.828.4944 or [email protected]. Contact Principal Toakase Vunileva at [email protected] for questions or to submit your resume. - The newsletter has been established primarily for news sharing within the conference, though selected general church news stories are also considered for publication. - The primary readership of the newsletter are church members within the Rocky Mountain Conference. - When submitting an announcement, consider that local Sabbath events may be drawing members from other local churches. 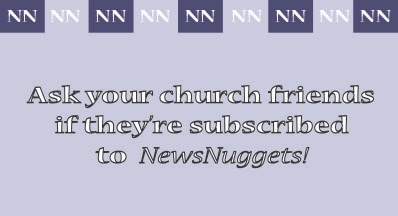 - Promoting evangelistic meetings in NewsNuggets is not attracting potential attendees for whom the meetings are primarily advertised. - Due to space constraints, NewsNuggets will not publish posters and other large photos or images. However, information from the text will be used. - Announcements will not be repeated more than twice, and they should be concise. Web page links or phone numbers should be provided for additional information. July 17 - 21, 7 a.m.